I have been an avid U2 fan for 26 years. Some say obsessed, but I like to say passionate. I discovered U2 in March 1987 with the release of The Joshua Tree. I heard With or Without You and liked it. I realized U2 was the same group that sang that song Pride I had heard a few years prior. It was my freshman year of high school, and I noticed a picture of U2 that a classmate had. Larry stood out right away as the attractive one and someone whose pictures would soon decorate my locker. I immediately bought The Joshua Tree. That summer, I remember walking along the beach in Ocean City, Maryland with my boom box blaring I Still Haven’t Found What I’m Looking For. By the time Rattle and Hum was released a year later, I had all of U2’s albums and had recorded all of their performances on television. I have seen U2 75 times in concert and met each member at least once. I have every album, most of the singles and videos and many bootlegs. My favorite U2 songs are I Still Haven’t Found What I’m Looking For, Luminous Times, Who’s Gonna Ride Your Wild Horses, Gone, and Heartland. My favorite U2 albums are The Joshua Tree, Rattle and Hum, Achtung Baby, All That You Can’t Leave Behind, and Pop. My favorite U2 videos are I Still Haven’t Found What I’m Looking For, Electrical Storm, Numb, Who’s Gonna Ride Your Wild Horses and Walk On (international version). I have already written about my love for U2 drummer Larry Mullen and my favorite tours Elevation and 360. 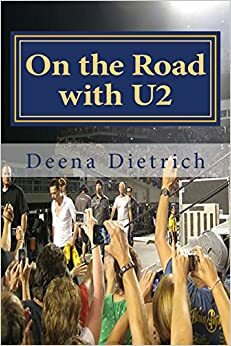 A few years ago, I gathered all my journals since mid 1997 and began writing about my adventures on the U2 tours I have been on from ZooTv to 360. It is more than just the U2 concerts. It is about the people I meet, the places I see, and the experiences we share along the way. 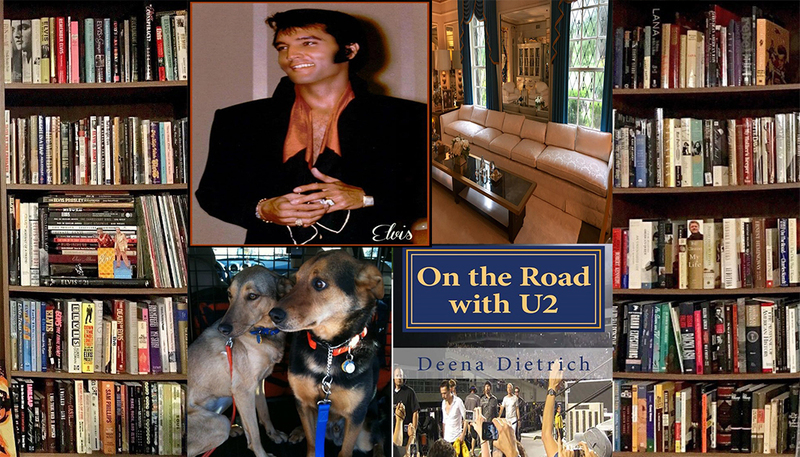 I have met so many amazing people by going on U2 tours. We still keep touch and meet up every few years on tour. My love for U2 has brought me to many great places. The best was Dublin, Ireland. I spent a summer in Dublin studying at Trinity College in 1998. U2 wasn’t playing a concert in Dublin, but I became interested in Ireland because U2 are from there. I went to Las Vegas, my second favorite city, two times because U2 played there on the Vertigo and 360 tours. I have been to Vegas three other times, but U2 playing there gave me a reason to go two more times. I had always wanted to go to Chicago and see a Cubs game at Wrigley Field, and U2 gave me the excuse to go. U2 opened their 360 North American tour with two shows at Soldier Field in Chicago. I went to both shows, and I finally got to Wrigley. And obviously my three month road trip on the 2011 US leg of the 360 tour brought me to many, many great American cities in 31 states (over 18,000 miles driven). Because of U2 I became a writer, met many great friends, traveled to many great cities, and have had more great experiences than I can count. It is safe to say that U2 has changed my life. I have heard of the group, but don’t know their songs. Interesting that you can be a fan for 26 years. I like variety, but still appreciate some of my favorites such as Steve Green and Cheri Keaggy (gospel singers). Happy A to Z! thanks for reading! you don’t know U2’s music? they will go down as the top 10 bands of all-time, if not the tip 5. My daughter introduced me to U2 in the 80’s Love the Joshua Tree & With or Without you. The music goes straight to my head and heart. U2 was my favorite band from when I was old enough for non-kids music (around the same time as you mentioned) up through at least 2002 or so. I’ve only seen them once, but I’ve tried to see them many times! I was too young for Zoo TV’s tour, and then just really bad at getting concert tickets for big venues, so I missed a lot of their good tours. But I did manage to see them, so that was a checkmark off my list 🙂 I’m not crazy about their music the past decade, although I had Beautiful Day at my wedding. give their new music a chance. really listen to the lyrics. thanks for stopping by.